Mariah Carey has recruited the some of the hottest producers for her long-delayed album The Art of Letting Go, which was initially slated to arrive in this past July. 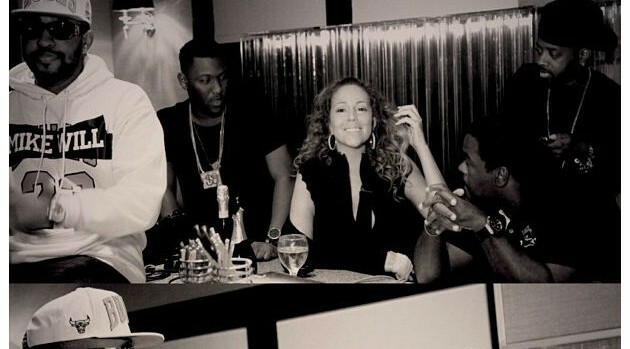 Another fan remarked that it was nice to see Mimi and JD collaborating once more, especially since the most recent collaborations by the duo — on 2005’s The Emancipation of Mimi and 2008’s E=MC² — resulted in some of her biggest hit singles. Dupri did not produce any songs on the singer’s 2009 effort, Memoirs of an Imperfect Angel, which to date has sold far fewer copies than either of those albums. It featured production by The-Dream, among others.